Bestselling English Grammar Guide From Thefreedictionary.com, A Market-leading Reference Site With 1 Billion+ Annual Visits. Over 10,000 Copies Sold, With Top Reader Ratings. 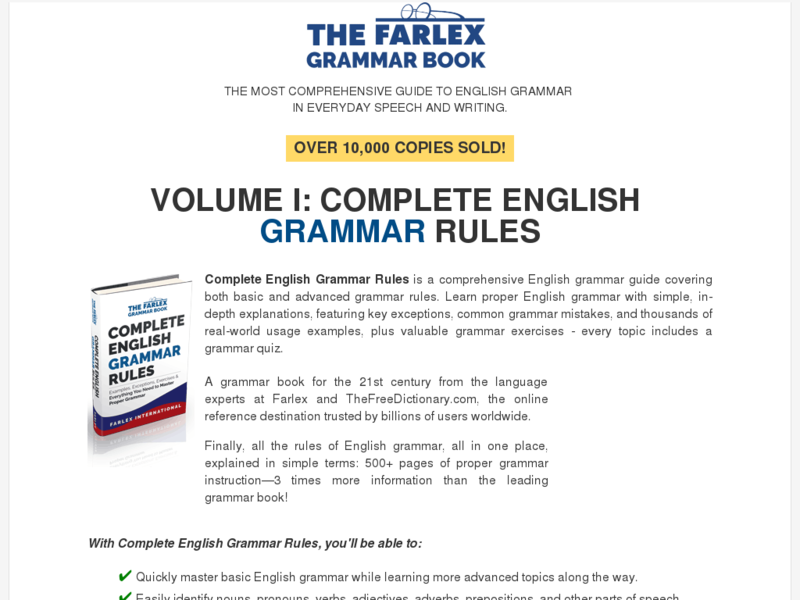 Highly Popular Among ESL Learners With Growing Sales In The Grammar Category.